Thriving competition and flourishing in the ever-competitive market is perhaps the most daunting tasks almost all early stage startups are faced with. No matter how much time, effort and money, you have invested to source creative logo design, impressive website, inspiring icons and other visual elements of your brand, you would still need to grow your startup in order to survive in the fiercely competitive market. This is where Growth hacking tactics provide an optimal solution to early stage startups. In fact, wishpond.com reveals that growth hacking has become an essential element of starting and growing a new business. 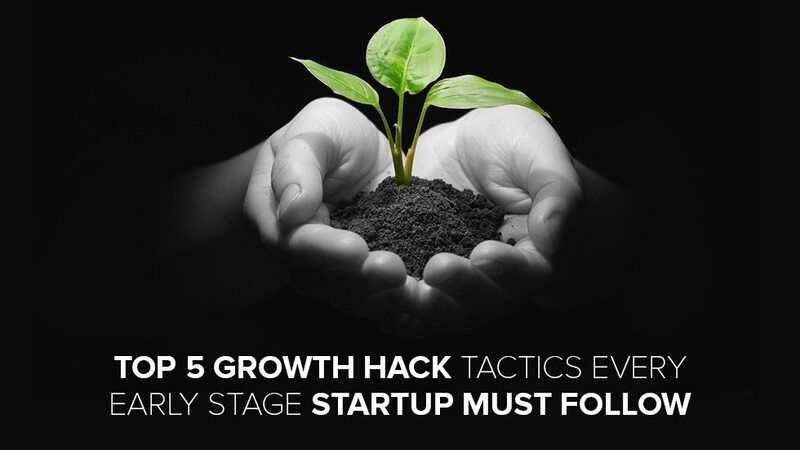 Here’s a little listing of top five growth hack tactics for early stage start-ups. Your startup can start attracting target customers if you start offering freebies to them. Take example of Moz. It provides free SEO tools and resources to its users in order to attract them to subscribe for its paid subscriptions. This strategy has worked for the company quite well. ensure that your advertisements are centered on only those users who have searched for your brand or its services on the web, or have explored your webpage in the recent past. Focusing your PPC campaign on such visitors is a sure-fire way to ensure manifold growth for your startup. With so many brands and businesses dotting the Internet, it’s no longer enough that you have a professional website design. You’ve got to battle it out for user’s attention. And in order to do so, you would need to entertain your audiences by creating relevant and interesting content. In addition, reach out to bloggers for guest blogging to drive more traffic to your website. Also, invite bloggers to write at your blog and ask them to share the same with their audiences to improve your visibility. Referrals always work when you need to build a solid customer base. Start a referral program right away. For example, online storage startup, Dropbox successfully explored referral programs. The startup in its early days lured customers by offering upgraded storage amounts to referral party with an extra 500 MB of storage free. Within just 15 months, Dropbox raised its user base from 100,000 to more than 4 million. Do well to explore social media platforms such as like Facebook, Pinterest, LinkedIn, Twitter, Vine and others to drive more traffic. Do well to post relevant, visually appealing and interesting posts on these social media sites to summon the interest of your visitors. Also, do well to use online discussion board and forums such as Quora and Yahoo Answers to your advantage. Do have any other advice or suggestions to growth hack an early stage startup? Please share with us in the comment box below. Previous Previous post: How to Find the Best Keywords for Business Blogs?